During the European Year of Cultural Heritage 2018, Europa Nostra organised the 5th Anniversary Conference of the 7 Most Endangered programme, which included Capacity Building Days on Endangered Heritage, on 22-24 October in Nicosia, Cyprus. ‘The 7 Most Endangered’ programme was launched in January 2013 by Europa Nostra with the European Investment Bank Institute as founding partner and the Council of Europe Development Bank as associated partner. 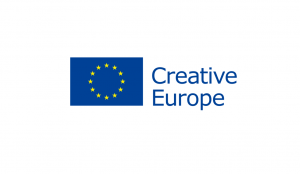 It is now also supported by the Creative Europe programme of the European Union, as part of Europa Nostra’s networking project ‘Sharing Heritage – Sharing Values’ (2017-2020)’. Europa Nostra represents a rapidly growing citizens’ movement for the safeguarding of Europe’s cultural and natural heritage. The EIB Institute was set up within the EIB Group to promote and support social, cultural, and academic initiatives with European stakeholders and the public.